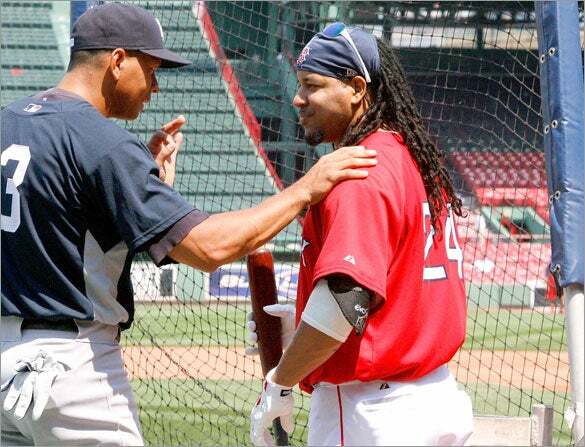 Manny Ramirez and Alex Rodriguez, the lightning rods on their respective teams, just had a lengthy conversation outside the batting cage while the Red Sox were taking batting practice. Ramirez was among the Sox who took BP on the field, and seems to be in quite the good mood today. He was smiling as he walked through the clubhouse with his son earlier this afternoon.